When Should You Get a Debt Relief Order (DRO)? Debt is becoming an epidemic felt by many people these days. And with so much uncertainty looming, there’s an urgent desire to get rid of this debt. For some people this desire is imminent, and may even stem from court orders. Others may just be looking to shed their debt to get back to a much more manageable lifestyle. The good news is, there’s help on the horizon. And whatever the case may be, lots of people are now finding success in a debt relief order. For those that are unfamiliar with the term, this order is a new type of bankruptcy alternative. It was initiated into law in 2009 in Wales and England. It’s designed for those that are in severe financial trouble. And as a result, there are some restrictions put on by the court for those who are allowed to file a debt relief order. Who Can Qualify for this Order? For starters, the individual cannot be a homeowner. They also can’t have more than £300 in other total assets. They’ll have an income threshold as well to meet. No more than £50 per month of disposable income is allowed to receive the DRO. Other restrictions include, that they must be a resident for over three years, or at the least doing business in these regions. They also may not be engaged in another bankruptcy, or like situation, at the time of filling the application form. The application form itself is a pretty straightforward process. Since it’s treated like a type of bankruptcy, the application will need to be filed by intermediaries as would be done with a bankruptcy. And the costs associated with this form can be anywhere up to £90. However, in some circumstances the fees and court orders can be waived. After this, it’s just a waiting period for them to decide if the individual has been approved. 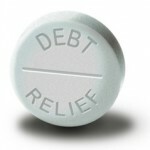 The whole point in getting a debt relief order is to free themselves from these burdens. They can do so after 12 months, and will have certain protections leading up to these 12 months. However, it’s important for the individual to realize that this is not a free-for-all. They would still have obligations, including periodical case overviews by an official. Basically, they just want to make sure that they’re not aiding in any new bad habits. And of course, if the individual comes into a certain windfall of money, they will then be required to pay back their debts. While it can seem a bit pesky, and tedious, the rewards of a DRO far outweigh the cons. For those who are really struggling out there, they should take a strong look at a debt relief order.